Mozilla Firefox is a free web browser available for Mac and PC as well as Android and several other operating systems. Firefox has built its focus around a practical, minimalist design and low, light weight memory usage. First released in 2004 with Mozilla Thunderbird as part of Mozilla Suite, Firefox quickly gained popularity among users disillusioned with more traditional browsers like Microsoft's Internet Explorer and Netscape Navigator. Today, Firefox commands around forty-four percent of the worldwide market, though usage is as high as sixty percent in some areas. Key to Firefox's popularity is its free and open source format, enabling small businesses and bedroom developers to work easily with the system under an open license. Like most browsers, the Firefox download is free of charge. It can be found at Mozilla.com. It is currently in a beta test for version 4.0, and the latest official stable version is 3.6.x Firefox for Android and Nokia's Maemo operating system is in its second Beta version. The mobile Firefox download is available from Mozilla's mobile site or from the Android App Store. It is also free of charge. 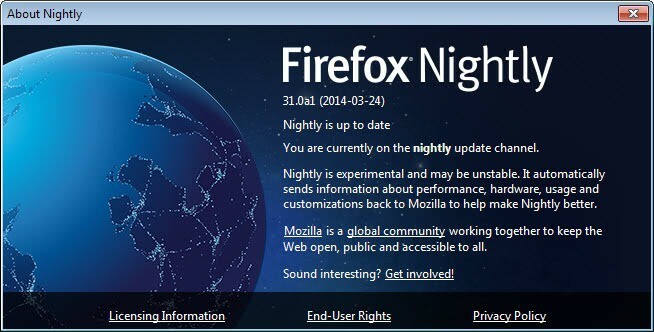 Update: The latest version of Firefox at the time of updating this review -- March 25th, 2014 -- is Firefox 28. We have updated the various sections of the guide to reflect changes that were made to the browser in the meantime. With the release of Firefox, Mozilla offered developers the chance to create unique themes. Themes are also available on newer versions. Firefox themes change the general appearance of the browser, usually without disrupting functionality. A browser can take on the theme of almost anything, from the NASA Space Shuttle launch to Mac OSX. Textures are a major aspect of themes. If a user wants his or her browser to look metal plated or wood paneled, he or she can find those themes online. Mozilla's official theme site can be found at addons.mozilla.org. Themes can also be used as promotional tools. The production studios for many popular films and video games develop Firefox themes to help generate excitement about upcoming releases and maintain fan loyalty. Several themes are also available for holidays. Users are not forced to choose a theme. The standard Mozilla Firefox theme is a simple and minimalist look, that comes packaged with Mozilla Firefox. It is designed to mirror the look of the operating system it uses, whether Mac or Windows. Installing a theme is easy. Go to Mozilla's add-on site at addons.mozilla.org and select Themes. Find a favorite theme and click on it to open its page. Then click download, if you're not using Firefox. If you are using Firefox, the "download" link will automatically change to "add to Firefox." Click on this link. The Firefox download function will download the theme and open the preferences for the program, where you will be able to select the theme. To revert back to the default Mozilla Firefox theme, open the Firefox preferences and select "Manage Add-ons." Select the "Themes" tab and click on the desired theme. Firefox will need to restart when changing any theme, but will save any open windows and tabs. Uninstalling a theme is just as easy. To do this, open the Firefox Preferences menu and click on "Manage Add-ons." Next, open the "Themes" tab and select the theme you want to uninstall. Finally, click "uninstall." Firefox does not need to restart when uninstalling add-ons, but they are only removed completely from the browser on restart. Some of the most popular themes are Oskar, Lavafox, Nasa Night Launch, Ambient Fox for Xyan, Mac OSX, and Blue Sky, to name a few. Update: There are now two types of themes available for Firefox. Lightweight themes formerly known as Personas, which just change a couple of colors in the browser, and full themes (sometimes called complete) which can change a lot more including buttons and the interface. 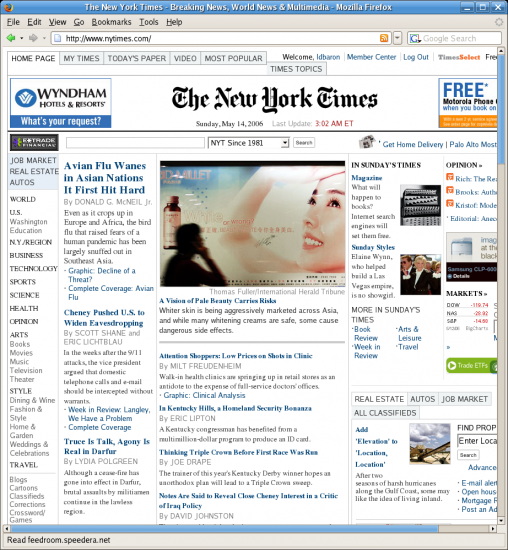 First available in pre-Firefox 2.0 versions, Extensions are add-on programs that assist in browsing. An extension basically runs as an attachment to Firefox. A common and popular example is Ad Blocker Plus, which prevents pop up windows as well as banner and margin ads in Firefox from interfering with the user's browsing experience. This is a helpful application for parents who wish to allow their children to browse the internet without falling prey to sexual or inappropriate ads. Another popular extension is Video Download Helper, which allows users to download videos from video sharing sites such as Youtube, Vimeo, and Metacafe. While most of these extensions are developed by third parties, Mozilla has also released several official extensions available for Firefox download. Most popular among these is "Personas Plus," which allows users to add "skins" to their browsers. Unlike the aforementioned Themes, skins only change the background of the browser bar and do not alter button shape or offer any unique animations. This enables the user to alter his or her browser's appearance without bogging down the computer with extra graphics tasks. Downloading an extension is very similar to downloading a theme. 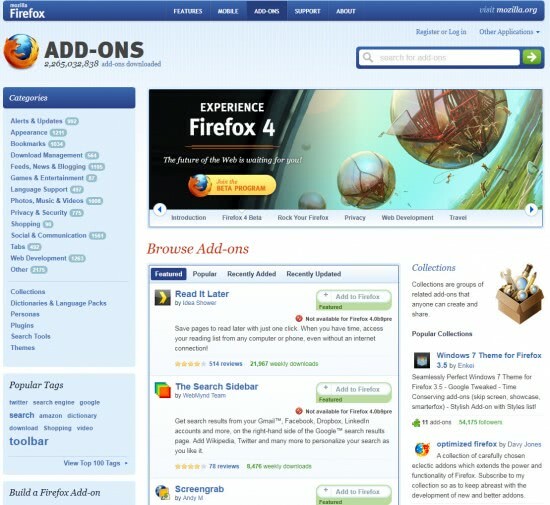 Simply go to Mozilla's Firefox download site at addons.mozilla.org and scroll over the "Add-ons" link at the top of the screen. When the drop-down menu appears, click on "Extensions." Select an extension from the list, which is listen in descending order according to popularity. As with themes, you will be prompted to click "add to Firefox" or "Download," depending on the browser you're using. Next, the Firefox download function will download the extension and open the Extensions tab under the "Manage Add-ons" sections of the Firefox preferences. Once the extension is installed, Firefox will need to restart, but as always, it will save all open tabs and windows, reopening them automatically when it restarts. Firefox will not need to restart in order to perform the uninstall. While most of the third party extensions, and all of the official Mozilla extensions, are free, some do cost money. Others request a suggested donation to support their efforts. Both extensions and themes are rated directly on the web site, so users can see what other users have rated specific add-ons. If an add-on has consistently received a low rating, it is generally recommended that users avoid it. A change in the add-on system resulted in options for developers to create so called restartless add-ons, which simply means that the add-ons can be installed or uninstalled without restarting the browser. As Firefox is a Free and Open Source program, it strives to offer users a very high level of customization. While a great deal of basic customization is available through the Preferences menu and the aforementioned Themes and Extensions, as well as other add-ons, users with a greater understanding of programming can used Firefox's advanced Configuration feature to further customize preferences. This can be damaging to Firefox's core coding, however, so it is not recommended for users not already experienced in programming. In fact, Mozilla even offers a disclaimer when trying to access the Configuration menu, stating "This might void your warranty," before allowing you to continue. 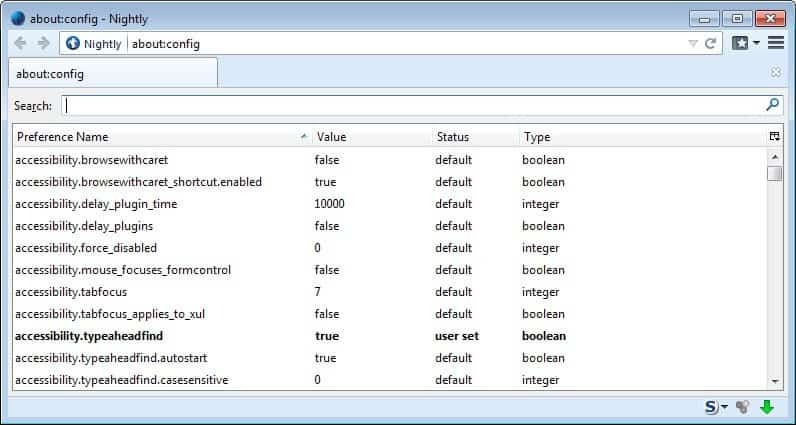 To access the Configuration options, simply type "about:config" in the browser's location bar. A list of every customizable option in Firefox will appear, and programmers can tweak preferences at will. 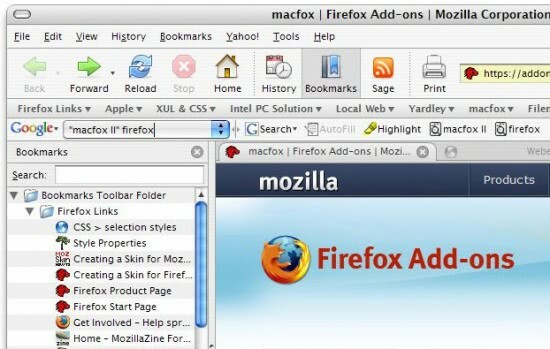 Similar to extensions, Plug-ins are applications that assist Firefox users with browsing. Unlike extensions, however, these Plug-ins are generally smaller, lighter versions of programs that run independently of Firefox. An example of this is Apple's Quick Time, a popular video program. Installing the Quick Time Plug-in will allow users to view video within Firefox, even if it is in Apple's proprietary ".mov" format. This is essential for viewing web sites such as Apple's iTunes Trailer page, a popular movie preview site. Another essential Plug-in is Adobe's Flash Player, which allows users to experience Flash-based content within the browser. Still another is Adobe's Acrobat PDF Reader, which allows users to read Portable Document Files without downloading them. Some controversy has arisen around Plug-ins for Firefox however, because while users have the ability to disable any Plug-in, there is no option to fully remove it, as there is with Themes and Extensions. So once a user installs a Plug-in, he or she cannot uninstall it. While Mozilla does accept donations, Firefox is available as a free download. Mozilla is a non-profit organization. Their official website, mozilla.com, features the link to download Firefox on its front splash page. Clicking on this link will prompt the download to begin pending your approval. The file size for Macintosh is about 17 MB and should be comparable to that size for Windows. After a quick download, you can install Mozilla Firefox and begin browsing and customizing immediately. Mozilla.com is a safe site, verified to protect your information and your system. If you wish to find out more about Firefox before downloading, mozilla.com offers a free tour of Firefox 3.6, which is the latest version available. This tour explains what's new with Firefox 3.6, using an easy, visual format including several short, fast-loading videos. Key points of this tour include Firefox's "Awesome Bar," an improvement on the search bar that allows a user to type in keywords instead of websites; one click bookmarking, which allows users to click the star at the right side of the Awesome Bar to bookmark the page; and "Private Browsing," which keeps a user's search and data entry information off of the local computer's records. This last feature is useful when browsing the internet on public computers. To access the tour, scroll down to "Meet Firefox," and click "Take the Tour." Mozilla.com also offers features and support for Firefox, and all of the aforementioned add-ons can be accessed through the website. Update: File size has gone up a bit in recent time, but not significantly. Mozilla prefers to distribute the browser via stub installers that require an Internet connection during installation. There are however still ways to download the full offline installer right away as well. Firefox also supports many other new technologies. Firefox was key in bringing tabbed browsing to the mainstream. Tabbed browsing is a technology that allows users to open more than one browser subject in the same window. This is a good alternative to opening several browser windows at once, which tends to clutter the desktop and lengthens the amount of time it takes to browse. Tabbed browsing allows the user to open a new tab every time he or she wants to start a new search without leaving the current page. It has become the standard for nearly every internet browser. Perhaps the most useful feature of tabbed browsing is Firefox's ability to save a session. If a user has thirteen tabs open but must restart his or her computer, turn it off for any reason, or quit Firefox, the browsing session, along with all tabs and a history for each tab, will be saved and restored upon reopening Firefox. Firefox also features a unique password manager that allows users to see which user names and passwords they've allowed Firefox to save. This is easy to access. Simply click on Firefox preferences, and select the Security tab. Then click on "saved passwords." This is useful for security, because it is recommended that a user keeps a different user name and password for each of his or her online accounts. Another new technology Firefox supports is "Instant Web Site ID," which helps to verify the web sites the user visits. This is especially helpful when the user is spending or donating money. Internet scams abound, and it is useful to know which sites are safe when relaying credit card or bank account routing numbers. Many businesses and payment services such as PayPal, Inc. use Instant Web Site ID. Sites using Instant Web Site ID will feature a green icon next to their URLs in the search bar. According to the statistics web site w3schools.com, Firefox was used by 44 percent of the browsing community in November of 2010. This is a drop from 46.9 percent in May. More specifically, 36.9 percent of the browsing community used Firefox 3.6 in November of 2010, while only .8 percent beta tested Firefox 4.0. Three point eight percent of the browsing community used Firefox 3.5 in November of 2010, while 3.0 users only numbered 2 percent. Older versions are still used by .5 percent of the browsing community. In November of 2010, Firefox was the most used browser of the internet community, averaging the aforementioned 44 percent. The closest competitor was Microsoft's Internet explorer with 28.6 percent. Google's burgeoning Chrome browser won 20.5 percent of the browsing community, while Apple's Safari browser reached its highest user rating of 2010 with 4 percent of the market. Despite their dominance of the market, however, Firefox has dropped slightly in popularity. In October of 2010, it had 44.1 percent of the market, and the previous month it dominated 45.1 percent of the market. There are many ways to customize Firefox. Personas, as mentioned above, changed the colors of the browser bar, tabs, and scroll bar. Many companies, including film production studios, auto makers, and video game manufacturers use personas to promote their new releases or foster brand loyalty. Personas has recently been renamed to themes to avoid confusing with Mozilla's Persona technology, a web authentication feature. Themes are another way to customize Firefox. Though these use more memory, themes can be interactive and more customizable than personas. Themes, for instance, can change the shape of the buttons and tabs, as well as what happens when you click them. Themes also generally involve a background picture to match the browser customization, or vise-versa. Another opportunity for customization comes in the form of Extensions. Extensions, as mentioned above, are applications that can be useful to the user while browsing. Adding every Extension would drastically reduce speed, so Mozilla made it possible to add only the extensions that will be most helpful to the user. These can include applications like pop-up blockers, add blockers, anti-script security applications, and use-trackers, among many others. Most extensions are developed by third party programmers, who sometimes ask users to donate to their work before allowing them to download the extensions. Plug-ins are another useful way to customize Firefox. These are applications like extensions, but generally have a more incidental purpose, such as playing certain types of movie files or displaying document files. These are usually variations on standalone programs already installed on the user's computer. Updating Mozilla Firefox is very simple. As Mozilla wants their Firefox users to stay updated on the most current versions of the browser, they've added a "check for updates" option under the Help menu. Simply click this option and Firefox will make sure you're using the latest version of the browser. If not, you will be able to download the latest version. Firefox will save all of your preferences, extensions, themes, and add-ons, as long as they are supported under the new version. Firefox will need to restart to complete the installation of the newest version, but, as always, it will save all open tabs and windows. Update: Check out our Firefox update guide for additional information about automatic and manual updates. New for 2010 is Mozilla's Firefox Mobile, which allows users to access Firefox on their Android phones and Nokia Mameo mobile devices. Though the Android version does load slightly more slowly than the standard Android browser, an easy slider gives the user access to all open windows, and this is quicker than accessing open windows with the standard Android browser. It does, however, use more memory, which can slow the interface reaction time. Firefox for Android is currently in its second beta version. Firefox for Android has been improved significantly. You can download the latest version from the Mozilla website. It is out of beta and considered by many to be an excellent browser for the Android operating system. If you are using Firefox on the desktop, you can use Firefox Sync to synchronize data between the Android browser and your desktop browser. Nice topo. I have been “with” (sounds like a love affair!) Firefox — and still am even if I try other browsers — for years now, but I admit a lack of social partnership by not accessing Firefox 4 beta releases; I shall nevertheless go with version 4 first Release Candidate. I really am fond of Firefox, it’s not only the browser but also the Firefox community state of mind, culture, philosophy whatever you call it. But it’s good to have a few browsers at disposal, always better to compare than to simplify arguments with demagogy. I agree, I tend to test the four big players all the time and will make a switch if one of them turns out to be better suited to my needs than my current one. Nice and thorough article, but there are some mistakes, like themes available from version 3.0 and extensions from 2.0, which is not true. I don’t remember if themes were available from 1.0, but they 100% worked in 2.0, while extensions worked from the first version, and I’m using FF from 0.6. Kustodian, I have changed the article slightly to reflect this. Thanks for your input! I use IE8 and just alittle over two years now have been using a computer for the first time. I use my computer for personal use, not business related. I’ve learned some about my computer with lots more to understand. So when I found this review of firefox from Ghacks, it answered (about a two year old question of mine-what is firefox?) Sure in the two years I’ve used my computer I have seen information about firefox, but not as well written or the deepth of information or as complete as Ghacks has done for us here. I say thank you to Ghacks and with this review I’am now at the point of wanting to install firefox. PS. I would also like to thank Ghacks for being a major part of my understanding of this world of the computer age with the information, offers, and advise they share on their website. So heres a big heart felt THANK YOU ! Hi Martin, superb and comprehensive writeup as usual. I love Firefox, it has been a long journey together. I can say with certainty that I won’t ever abandon FF because it taught me to love the web and open source. <3. And Firefox is the browser which made addons popular long before chrome and the others picked up the idea. P.S.- Sorry for nitpicking but shouldn't it be "Ad Blocker Plus" and not "Add Blocker Plus". Also Nokia's alternative mobile OS is called Maemo and not Mameo. Love you, man. you are right, corrected the issues. Thanks a lot for pointing them out. Firefox and VIM both made me realize the power of open source. I am a big fan of both and currently using all the three variant of firefox (Minefield, Beta as well as Stable) in same machine. Even if i have updated my Firefox Web Browser to 4.0 Beta 9, i still confronting with the problem that i can not access my Email in Web mail domino any more. Hello. Why when I attempt to download Firefox do I get sent to the Netherlands as a mirror site download? I cannot print from Fire fox. Any time I attempt to do this there is a message stating that Fire Fox is not responding. I happen to have run across Ghacks by accident, but ever since I read every issue. Not only does it keep me up on new software, but it is written to folks like myself who are not new to computers but do not have the expertise to venture into the ‘cmd prompt’ areas, or such-like. I like the intros to each article. They are well tailored to give a background in each new venture, to start with an explanation from a known point, and then go on to explain the new point quite well! That takes a lot of needless explanation for some, but for me, the intros are simply SUPERB! My thanks to all that participate in bringing, and explaining the new frontiers in user software to the average user like my self! You all are doing a MAGNIFICENT job! A special thanks to Martin Brinkmann who started this whole idea, and, along with others, brought the concept to where it is today! Great Job! Ron Kondler, Major, USAF, Ret. Thanks Ron for the compliment, I try my best to keep explanations simple and easy to understand without leaving any of the “meat” out so to speak.